World Superbike champion Jonathan Rea is chased by Alvaro Bautista at the Chang International Circuit in Thailand. Jonathan Rea says he is pushing over the limits with his Kawasaki in his efforts to keep pace with runaway World Superbike Championship leader Alvaro Bautista. 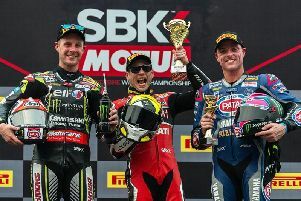 Rea finished as the runner-up three times at the Chang International Circuit in Thailand behind the Spaniard, who made it back-to-back trebles following his hat-trick at Phillip Island in Australia in February. Jonathan Rea finished as the runner-up three times behind Ducati's Alvaro Bautista in Thailand. Bautista has a top-speed advantage with his Aruba.it Ducati V4 R but Northern Ireland rider Rea says he has to accept the situation, with his Kawasaki ZX-10RR being outgunned on the long straights. “I feel like here I am pushing over the full potential of the bike and I am really pushing the limits of the ZX-10RR the whole lap,” said Rea. Rea is now 26 points behind Bautista, who is making his debut in the championship this year after competing in MotoGP. The series now moves to Europe, kicking off at Motorland Aragon in Spain, where four-time world champion Rea hopes to challenge for his first win of the season. “It was a solid weekend, the gap to the front is just a little too much but I enjoyed the races,” said Rea. 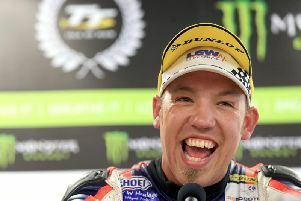 “I had a lot of pressure from Alex (Lowes) in the middle race and in the third race but I just had a little bit extra at the end to eke out a gap and make it comfortable. “The reference this weekend was definitely Alvaro and Ducati so we took what was ours and that was three second places, so I’m happy with that and we can move on to Europe now,” he added.